The personal injury attorneys at Martin & Lerda have represented people injured in tractor trailer accidents for decades. Having an experienced attorney to help combat the insurance companies in tractor trailer accidents can make all the difference in your final judgement. We would like to help you recover the maximum possible amount of compensation for your injuries, medical expenses, lost wages, property damage, pain and suffering, and more. …and all other personal injury accidents! 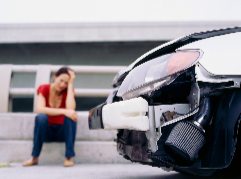 If you’ve been involved in a car accident in the Pittsburgh area contact us to start the healing process and get the insurance companies off your back! Drivers often say they did not see the biker or pedestrian they hit. Often that is because they just were not looking. Drivers have a responsibility to drive in a manner that respects the rights of others who are using public roads and walkways. When they fail to do so, they can be held liable for the damages they cause. Drunk driving accidents change lives forever. At The Martin & Lerda Firm, we are committed to helping injured victims and family members who have been injured by a drunk driver. We aggressively seek compensation for victims’ injuries, pain and suffering, medical expenses, lost wages, property damage, and more. Contact our personal injury attorneys to set up a free consultation. If you’ve been involved in any type of moving vehicle accident, following these steps can help protect your rights. What else can help protect your rights? Getting the experienced legal representation of Martin and Lerda on your side! Accident consultations are always free so give us a call today!